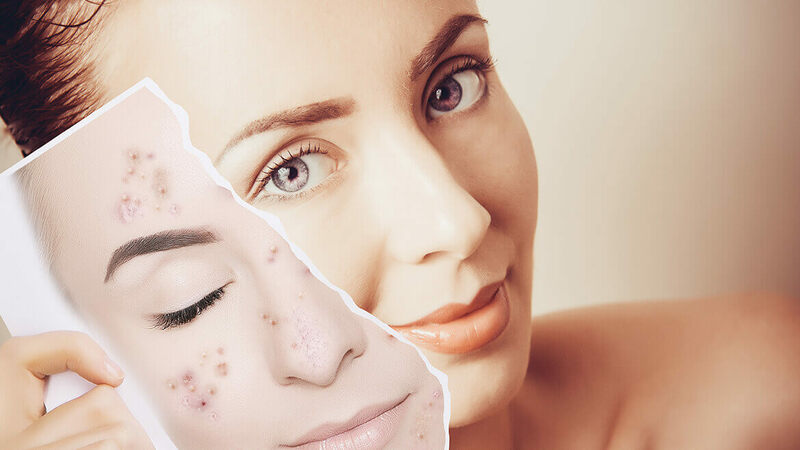 Scars left by severe grades of acne type 3 and 4 acne can lead to permanent damage and scarring all over your skin. These scars need to be treated as soon as possible before they leave any permanent marks on your face. Platelet Rich Plasma (Vampire Facelift) uses a purified and concentrated portion of your own blood to regenerate collagen and rejuvenate your facial skin resulting in younger looking skin. It is one of the most natural and safest techniques to give you healthy skin. Platelets help tissue to heal and grow new cells therefore when injected in your skin it will promote collagen growth and regenerate tissues and also help tighten the skin, which is why it is also used for hair fall management. Put simply it treats almost all aspects of acne including scars, pigmentation (dark or light) and skin irregularities. It also has minimal downtime leaving patients with glowing skin in maximum 2 days. Post procedure care is minimal and makeup is allowed as long as the removal is complete and gentle. Sun protection is mandatory and should form a part of one’s daily routine, mandatory in a non-surgical rejuvenation. Fractional Erbium glass laser is a gentle yet effective type of non-ablative laser for facial rejuvenation It improves skin conditions by affecting only a fraction of your skin at a time with thousands of tiny but deep microscopic laser columns in your skin. The laser targets and treats the deeper damaged layers of the skin in perfectly channelized columns leaving the skin surface intact. As heat reaches deeper layers of skin, it stimulates formation of collagen and elastin which helps to tighten skin and reduce appearance of scars and pores. Mesotherapy (from Greek mesos, “middle”) is a non-surgical cosmetic medicine treatment. Mesotheraphy employs multiple transdermal injections of pharmaceutical, homeopathic medications, plant extracts, vitamins etc. into the skin at various levels. It stimulates the deeper layers of the skin to achieve desired results. In our clinic depending on what we are treating e.g. Hair-loss, Scars, Pigmentation, Superficial Wrinkles, Stretch marks, Cellulite or Local Fat deposits, we use either manual technique or Meso-gun. At time we also employ deep rollers, or derma pen depending on the condition and the area of the skin treated. The Derma roller (also called skin rollers, Microneedle rollers, and Dermarollers) is a small hand-held rolling device that has micro surgical steel needles that reaches the inner surface of your skin to promote skin repair from the inside out. It stimulates elastin and collagen production in the skin without causing any damage. It takes time for new collagen to be formed when new skin cells are generated and blood supply is enhanced. It can take up to 6 weeks before visible signs of regeneration and repair to show. You need to carry out the treatment over the following months, to leave you with a natural and long lasting enhancement.